Let Enabler do the leg work and free up your time. 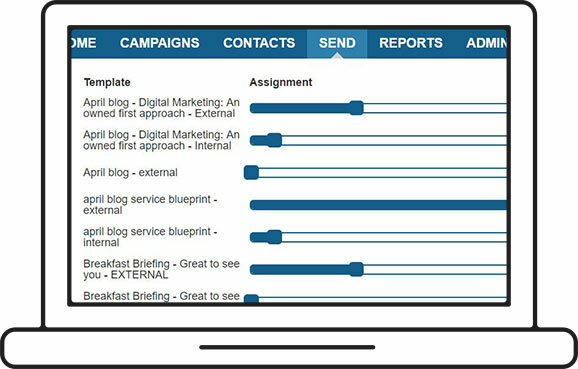 Schedule a journey for your customers using Enabler’s email automation tools. All our automations are run through efficient steps and you can choose which contacts receive which communications based on their actions or inactions. Start marketing smarter, not harder. Set your emails to deploy based on date driven data you hold on your contacts. 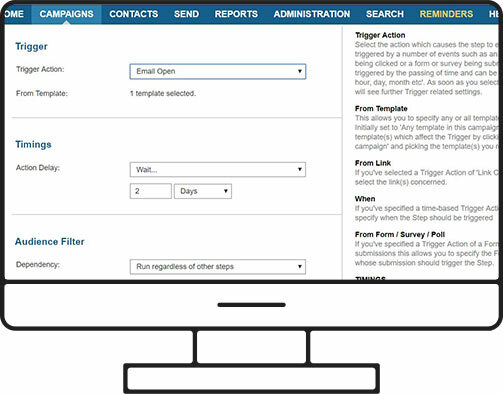 Trigger emails are perfect for sending out renewal, birthday and anniversary emails. Nurture leads and drive customer retention using triggers, and automate your sales process to drive conversions efficiently. Easily A/B test your subject lines and email templates to uncover your most effective,engaging content. 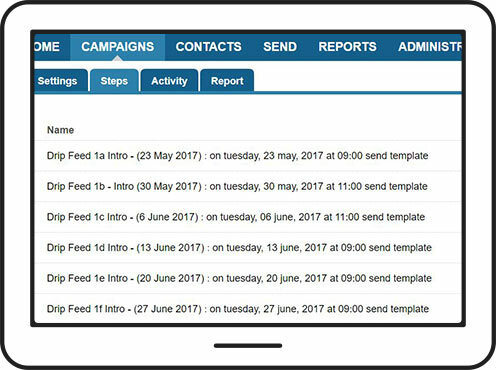 Test as many templates as you want, and use our automated roll-out feature to pick the winner of each test, optimising the sending for a time that works best with your strategy. Send your template to an individual, bulk audience or even send from multiple address books at once. 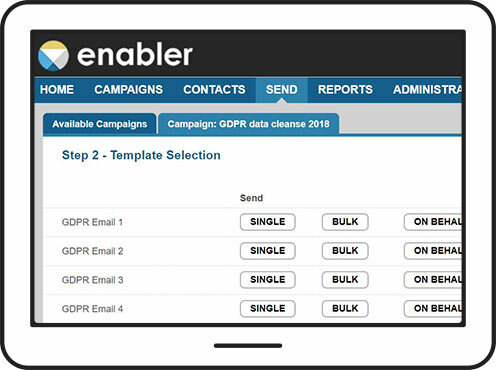 Enabler’s deployment platform enables you to schedule as many emails as you need ahead of time, and you can even schedule on behalf of others in your organisation.